View More In Office Electronics - Page 5. 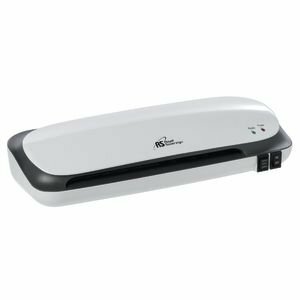 Thermoweb-Laminator. Protect preserve and enhance large documents presentation materials scrapbook pages posters menus and more. Both sleek and compact the design will accommodate projects up to 12 inch wide and features both hot and cold settings. Works great with Deco Foil transfer sheets to foil laser printed or photocopied designs. For use on paper or fabric. This 6x18x3-1/2 inch package contains one Royal Sovereign 12 inch laminator. Imported. If you have any questions about this product by Therm O Web, contact us by completing and submitting the form below. If you are looking for a specif part number, please include it with your message.